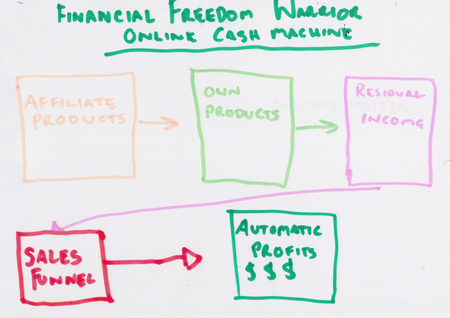 Get Started as a Financial Freedom Warrior and Build an Online Cash Machine! Super-charge your mindset – The same type of thinking that has got you where you are today, will NOT get you where you want to be tomorrow! Invest – You can’t save your way to wealth and financial freedom alone – You need to invest in quality growth assets such as property and shares that GROW in value OVER-TIME! Increase your cash-flow by adding an income accelerator, and it HAS to be online! – By increasing your cash-flow via an online income accelerator, you can begin part-time, and steadily build up your cash-flow OVER-TIME to give you more money to decrease debt, increase your investments, have a better lifestyle, and re-invest in your online business to totally replace your full-time income, and run your business full-time if you wish! You can even take things to the next level and build your empire! How far you want to scale this is totally up to you, the choice will be yours! True lifestyle, time AND financial freedom! The goal of the financial freedom warrior is to become TOTALLY financially bulletproof by building an ONLINE CASH MACHINE! Here’s how to go about it in five simple (BUT SECRET) steps! Okay, now you can see the advantage of an online cash machine, but you probably don’t know where to start. The good news is that even though you don’t realise it, you are actually an expert already. Your whole life has given you experiences that you can share that can help other people. Think about what hobbies, passions, skills or specialised knowledge on certain topics you may already have. What could you teach to others that can help them? Essentially there are three big markets: Health, wealth and relationships. You can break these markets down further into sub-markets. For example, Wealth could be real estate, investing or finance. Health could be nutrition, diet or weight loss. Relationships could be dating advice or marriage advice. Do you have any experience in these areas? The trick here though is to break it down even further into a micro-market or what’s known as a niche. The mistake most people make is that are too general and the market they start in is a red ocean because of all of the sharks in there. The idea is to find a nice clear blue ocean that you can enter with little competition. All it needs is a bit of a different perspective on what you already know. Step Two – Find a quality product in your “blue ocean” to promote as an affiliate. Promoting someone else’s product is the quickest way to get started online and start making some cash. How it works, is that you promote someone’s product by writing a review on your website, or posting to social media, or creating a short video and uploading to YouTube. You are given a “unique link” known as an “affiliate link” that you embed in the article or the video comments section, and when someone clicks on that link and buys – That sale is tracked back to you, and you make a commission of generally around 40-50%, sometimes higher! Many quality products can be found selling for several thousand dollars and sell like hotcakes! People will pay handsomely for information that helps them. By selling affiliate products you are leveraging someone else’s knowledge and expertise and it is the quickest way to begin. Once you gain some experience, you can begin selling your own info products such as eBooks and online courses. I created my first eBook, by stringing a few of my blog posts together, I added a few quality images and sent it off to Fivver.com, and for five bucks they flashed it up and made it look very professional. I have sold that eBook for $17 and it still sells on my website for $7 today. I also created an online course with a series of screenshot videos that I have sold from $97 to $197! …And as you learn more, you teach more! People will pay for your knowledge, help, and expertise. Residual income is regular income that comes in month after month. A good way to do this is to create a membership site, but I like to leverage other people’s membership sites and software. This is a great way to create a residual income that comes into your bank account on autopilot. Getting paid over and over again for work that you have already done! Get all of these products and plug them into a sales funnel. A sales funnel is just a series of web pages that follow one after the other, offering your products and services. You can then follow up by email – marketing your products time and time again into the future. 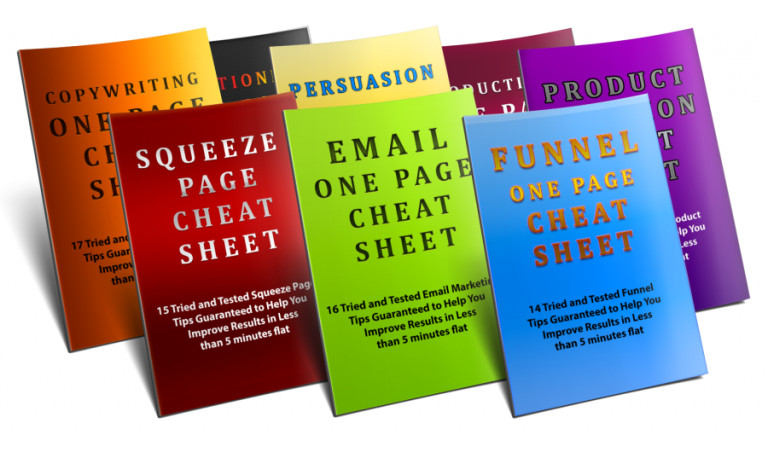 Start by offering people a free lead magnet such as a cheat sheet, free report, checklist or eBook in exchange for their email address and then you can follow up with them for as long as they keep subscribing. The key is to also provide them with heaps of free value as well as just promoting your offers. This is how you can really build trust and a relationship with your followers. Put these five steps together and you have the “Automatic Profit Secrets” to an online CASH MACHINE! Okay, so let’s get started on implementing your online cash machine! 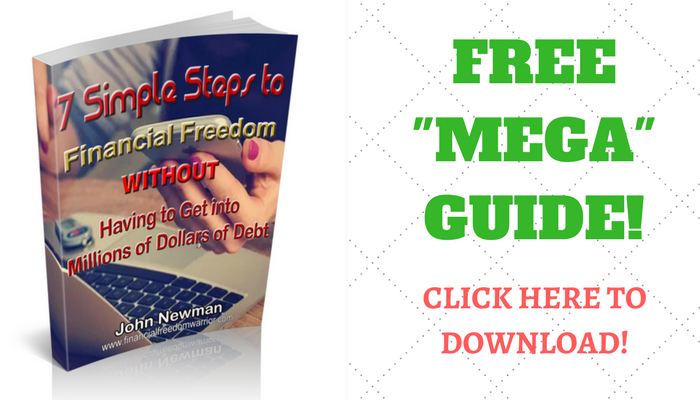 Download the FREE MEGA GUIDE: 7 Simple Steps to Financial Freedom – this will give you greater clarity on these steps with a couple of extra secrets thrown in as well! 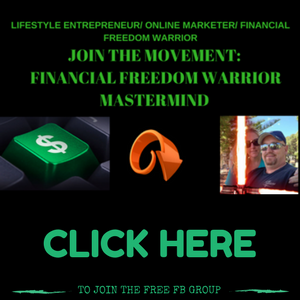 Join the Financial Freedom Warrior Mastermind Facebook Group – This will give you greater access to myself personally, as well as a “Mastermind” community of like-minded people – FREE Access! Claim a FREE membership to Wealthy Affiliate – This will give you the foundational training of online business, affiliate marketing, and website creation! Access the Affiliate Marketing Bootcamp Training Course – FREE training to learn how to create residual, recurring income (month after month) by promoting quality products that people use, need, and love! Remember, financial freedom is a dream that many aspire to achieve – Lets’ make it a reality! Success comes from taking small, consistent, persistent actions, that over time, leads to MASSIVE results! It’s time to step up, take some action and become a Financial Freedom Warrior! You have certainly nailed the nail on this one! I thoroughly enjoyed reading your article. As a matter of fact, it gave me a few ideas and my creative juices are flowing. Thanks so much for the motivation and the great suggestions. You re so right, nothing beats passive and recurring income and your ability to believe in yourself and take action. I have downloaded your 7 Step guide. Appreciate your tips. Hey, Michelle, so glad you liked the post and that it has helped! I appreciate you opting into my email list as too! And you are right… Residual income ROCKS!! Thanks for the information. That was an awesome break down of the process. It seems so simple. You just have to put in the effort and everything else is laid out for you. I’m a member of wealthy affiliate and I agree that that is a great place to start out and learn how to be an affiliate marketer. Thanks again! Yeah James, taking consistent action and not giving up is the key here! I’ve been around online since 2013 and the biggest factor for failure is simply giving up! You need to REALLY want to succeed! And it’s not just about money… there has to be something bigger for you to keep going through the inevitable failures and frustrations! Find that out, and then step up to be a Financial Freedom Warrior and NOTHING will stop you! Wow, what an article I so much have enjoyed reading it. You really have put everything together step by step and this is what I personally really do appreciate. In the past, I was very hesitant with doing something like online marketing, however, through you detailed report I know I can do this. You most definitely can do this Sylvia! Follow the steps and take some action and you will get there! Many thanks for posting a very informative and interesting post. I admire your enthusiasm in this field and how you are keen to teach people to become financially independent. Its a great feeling to be free from the rat race and be your own boss, essentially. The ebook part of this article is very interesting and looks like a good place to start. It does’nt take a lot of effort to put a story of 20,000 words or so together and get it up online, great idea, for sure. eBooks, are actually pretty easy to put together, especially if you’ve been blogging for a while! It’s pretty simple to put a few articles together into an eBook format and sell them for $7-27, or a few videos into an online course that sells for $47. That’s the great thing about an online business, you can leverage work you have already done and sell it forever! Such a good article. Thanks for the clarity. I got excited with the opportunities that you have mentioned. It gave me a lot of insights about making a passive income online. May I ask please. How much time did you invest to achieve such successful state? Thanks Rock, glad you liked it! As for time, I will be honest… a LOT! Time restraints can be hard when building a business, with family commitments and the “nine to five grind” until you can build up enough cash-flow, and sacrifices have to be made! And it’s a constant balancing act that you don’t always get right! Also, the further you get in, you really start to love this stuff, and it’s hard to shut your mind off! But at the same time, it can be automated and delegated, and momentum builds up! And, that’s why this is such a fantastic business! Really great post! I liked how you laid out the system of making money online in a really easy-to-read way. You mentioned about there being 3 big markets “health, wealth and relationships” – my market is mainly music and music production. This doesn’t seem to fit into these markets, nor do most creative niches I think. Do you personally think this affects the system you spoke about? Hey Joshua, really good point there! I would almost label creative pursuits such as music as a micro-market in the “relationship” market, as it is really part of the relationship with yourself, or your own personal development, if you know what I mean? In a way, you have already “chunked down” the big market into a niche, and sub-niche in music production, so if this is your passion then you are already on a winner! Great question Joshua, and the answer is, yes, my formula can definitely work for you here! 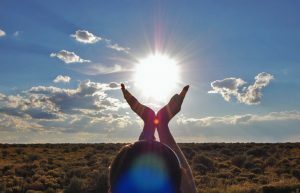 Your post is always great and has a wealth of knowledge that can really help people to live the kind of lives that they always wanted to live. Very detailed post, a great breakdown to steps to success. Great article! I know your mindset is very important to achieve success. I hope your free mega guide will help give me the remaining ingredients to succeed. I’m ready to be a financial freedom warrior! You have outlined some terrific ways to generate an online income accelerator. I am going to check out that facebook group, too. thanks! Thanks Darla, glad you liked the article and I am sure the mega guide will get you on the right track!